Registered massage therapist and proud supporter of our Canadian Olympic athletes! I began my career as an RMT after many years of competitive swimming at a National Level. In 2009 I graduated from the 3000 hour program at the West Coast College of BC. Upon completing the program I worked as a therapist in Blue River BC for Mike Wiegele’s Helicopter Skiing Lodge during the winter seasons. More recently, I’ve worked with the Canadian Olympic Ski Cross team, including being their RMT for the 2018 Winter Olympics Games in Pyeongchang Korea, where we brought home 2 golds and a silver. 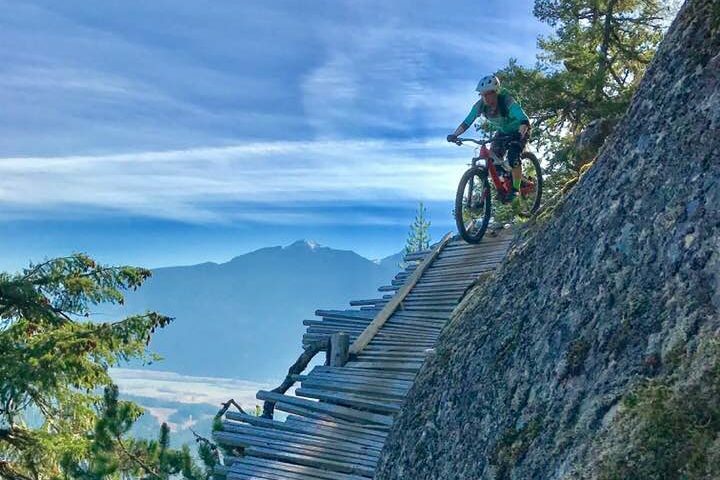 ​On moving back to Vancouver I became involved with the mountain bike community, working with elite racers on both the BC Bike Race and Transrockies multi day race. My experience as an athlete has lead me to focus on sports massage, deep tissue, myofascial and sports related injuries. Outside the treatment room I’m an avid mountain biker, snowboarder/skier, I’ve competed in triathlons including Ironman and ultra running.